"The secret of L'Arche is relationship: meeting people, not through the filters of certitudes, ideologies, idealism or judgments, but heart to heart; listening to people with their pain, their joy, their hope, their history, listening to their heart beats." Make known the gifts of people with developmental disabilities, revealed through mutually transforming relationships. To foster an environment in community that responds to the changing needs of our members, while being faithful to the core values of our founding story. To engage in our diverse cultures, working together toward a more human society. "Our community life is beautiful and intense, a source of life for everyone. People with a disability experience a real transformation and discover confidence in themselves; they discover their capacity to make choices, and also find a certain liberty and above all their dignity as human beings." 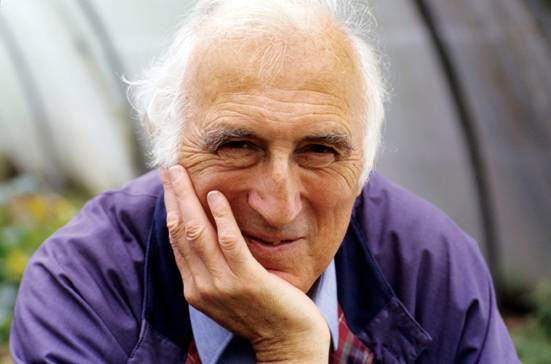 Considered a man of deep compassion and a humble prophet in the struggle to "become more fully human," Jean Vanier is the founder of L'Arche. Born in Switzerland the son of a Canadian diplomat, Vanier served in the British and Canadian Royal Navies as a young man. In 1950, after leaving the armed services, Vanier returned to his studies, eventually receiving a Doctorate in Philosophy for his thesis on Aristotle. The focus of the research was on happiness, which Jean defined then and now, "loving and being loved." Vanier went on to teach philosophy at the University of Toronto. There, in that small home in Trosly-Breuil, Vanier's initial urge to "do something for" Raphael and Philippe grew to become a commitment to "being with" and "friend to" these two men. With that shift in heart and consciousness, a core belief of L'Arche emerged: that strength is revealed through weakness and human vulnerability, which given room to grow in trust, creates community. And, Vanier understood, the desire to love and to be loved is something every person longs to experience. Vanier has received numerous awards, including the French Legion of Honor, Companion of the Order of Canada, Rabbi Gunther Plaut Humanitarian Award, the Blessed are the Peacemakers Award from the Chicago Catholic Theological Union, and the 2015 Templeton Prize exceptional contribution to affirming life's spiritual dimension. Vanier still makes his home in the original community of L'Arche in Trosly-Breuil, and often gives lectures and retreats there. As Clinton Franciscan Sister Marjorie Wisor studied French in Paris in 1967, her superior, Sister Cortona, asked her to invite Jean Vanier to speak at the Federation of Franciscans. He declined saying that he spoke only to groups including "marginal people." In 1968, Sister Marjorie visited Trosly. "This visit left a great impression on me as I felt layers of me being stripped away as the handicapped people met me person-to-person. There were no barriers. Our 'persons' met at the deepest level." In 1972, Sister Marjorie met Jean Vanier in Chicago and spent three months at L'Arche in Trosly. She and Father Mottet of Davenport Catholic Social Services discussed the effects the Scott County Home closing. When a L'Arche home in Davenport did not emerge, Chet Swanson, Skyline's director, suggested opening a L'Arche home in Clinton. The First Presbyterian Church of Clinton donated a house and on June 6, 1974, Gerry Potter became the first core member of The Arch. Today L'Arche Clinton (The Arch) has three homes and two apartments with 15 core members and 23 full- and part-time, live-in and live-out assistants, as well as the community leader, two community coordinators, director of finance, director of development and communications, director of professional services and Community Life Coordinator. Our nine-member board of directors rounds out our community. Core members at L'Arche Clinton (The Arch) are the heart of our L'Arche community as they are worldwide. 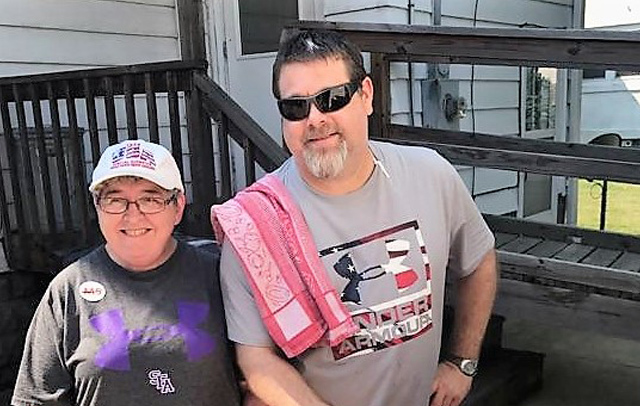 Members of our community with intellectual disabilities work performing various tasks at Skyline Inc., Clinton or participate in the day program, affectionately known as "DayHab." The two members of our apartment community have supportive employment at Lumber Kings Stadium, Pizza Hut, and the local recycling center. Our community is known for our gatherings, trips and other activities. We gather monthly for birthday parties and anniversary celebrations. 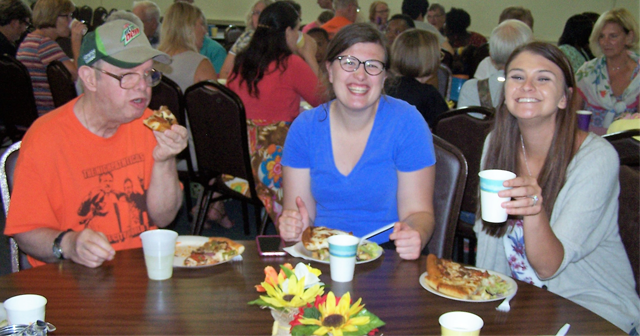 We have fully participated in recent regional L'Arche gatherings in St. Louis and Chicago. Many core members have taken vacations to visit family in other states and to simply enjoy the hot spots in the nation. We enjoy our preparation and participation in regional and state Special Olympics, with core members always hoping to bring back the gold, but promise to be good sports if they receive anything less. Primarily what makes our L'Arche community thrive is God's spirit that infiltrates our hearts and strengthens us so that we might be better servants, teachers and students. "L'Arche" means "the ark" in French (because L'Arche began in France.) The name refers to Noah's Ark and the diversity of its passengers. Who comes to work or volunteer in L'Arche? A desire for personal growth in a supportive community environment. Whatever their motivations, once a person comes to L'Arche, his/her life is touched in ways s/he never imagined. How can my relative with a disability come to L'Arche? L'Arche Clinton invites persons with developmental disabilities and their families to learn more about our community. We have referral forms that can be completed to help us learn more about you. Making one's home in L'Arche comes about through much dialogue and exploration, rather than through a waiting list. How is religion/spirituality lived out at L'Arche Clinton? All L'Arche communities are communities of faith, rooted in prayer and trust In God. Each community member is encouraged to discover and deepen his/her spiritual life and live it according to his/her particular faith or tradition. Those who have no religious affiliation are also welcomed and respected in their freedom of conscience. The spirituality of L'Arche Clinton is lived out in the small daily acts of love and fidelity, in times of prayer in the homes, and in community celebrations. Does one need special training to work in L'Arche? Some people that come to work at L'Arche have experience working with people with disabilities, but most don't. The first requirement is that a person has the desire to share life together in a community setting. It is also important that one is able to perform the duties outlined in the appropriate role description. 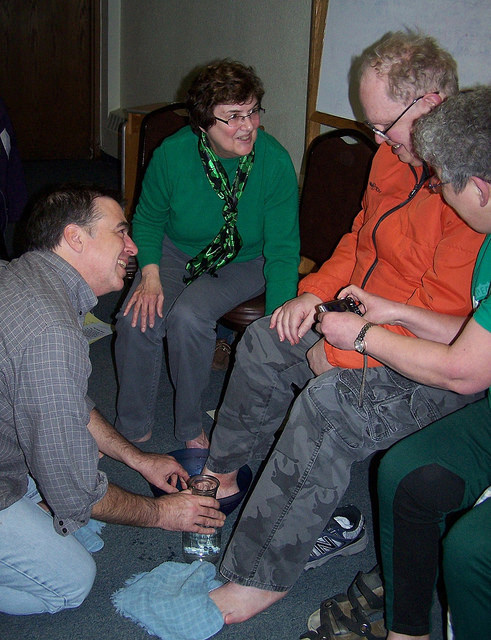 Much of a person's first weeks in the community is devoted to hands on training. How is L'Arche Clinton funded? The majority of our funding comes from the State with additional support coming from individuals, churches and businesses. We hold fundraisers, newsletters and do quarterly appeals.